CJ Logistics, a parcel delivery business unit of CJ Group, said Sunday that it will expand delivery services for the upcoming Chuseok holiday. Starting Monday, the company will begin a five-week special holiday delivery service period and operate emergency teams at its headquarters, it said. The three-day holiday takes place from Sept. 23-25. As part of such efforts, the company will expand its workforce, keep track of parcel volume and enhance automatic sorting systems at its warehouses. It will also have some 20 percent more call center counselors, and repair terminals and delivery trucks in advance to better handle unexpected mishaps. 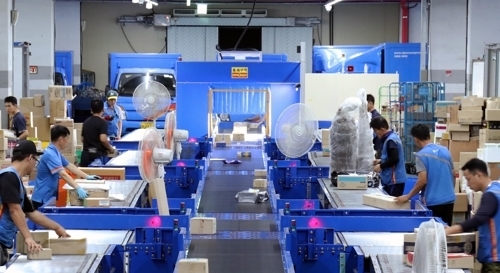 “We expect to see about 25 percent more parcel volume on-year during the Chuseok holiday,” said a CJ Logistics official.